Seven unique tobaccos contained within one exquisite cigar. This was the concept behind the Davidoff Robusto Real Especiales 7, an unheard of feat when first accomplished circa 2004. In the years following, the limited nature of this special blend has attracted the envy of discerning enthusiasts and collectors the world over, being critically acclaimed as one of the best smoking experiences to ever come out of Davidoff's factory in the Dominican Republic. In the current day, Davidoff has slowly begun the process of revisiting some of the company's most legendary releases, re-crafting these gems under the "Vintage Blend" series. Those that weren't fortunate enough to experience Davidoff's septuplet concoction during its first go-around have now been granted a mulligan, with Davidoff Master Blenders Henke Kelner and Eladio Díaz opening the doors to the company's prized vault of vintage tobaccos—re-releasing the Robusto Real Especiales 7 after 15 years of absence. 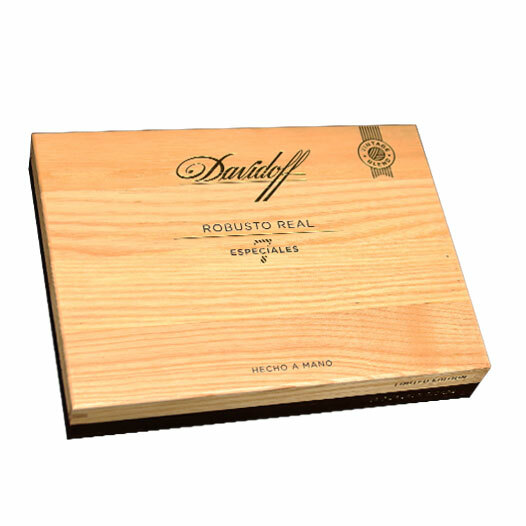 Davidoff Robusto Real Especiales 7 combines the highlight ingredients from Davidoff's most iconic blends, including the Signature, Grand Cru, Aniversario, and Millennium lines. Tobaccos have been harvested from six different regions of the Dominican Republic—allowing for the cigar's unparalleled complexity—which are finalized in a lush Ecuadorian Habano wrapper. Rolled in a singular robusto format, this limited offering (only 4,000 boxes) displays intricate layers of complexity, including standout characteristics of wild florals, aromatic hardwoods, lemon rind, burnt caramel sauce, and loads of long-lasting cream throughout—a true celebratory smoke for those seeking a higher level of enjoyment.